← Why ‘The Boy Downstairs’ is a must-watch. I left the theatre a wreck. I laughed at the one liners. I was moved to tears by the music. “The Angel and the Sparrow” playing at the Segal Centre now and extended through to May 13th moved the audience to several well deserved standing ovations. It is an ambitious undertaking to bring two icons to life, to take on some of the most famous songs in existence and portray a behind the scenes look at a love affair and ultimately a deep friendship. This show delivers on all counts. The set immediately got me excited. Composed of small nightclub tables, a red velvet curtain, a gilded proscenium arch and a chandelier you can’t help but stare at… it’s beautiful. I felt transported back to the clubs in Paris or Las Vegas in the 1950’s. Have you ever played the game where you and your friends share who they would want to see perform from the past? This play does just that. It brings you back in time, and the actors have the talent to touch your heart. The direction by Gordon Greenberg is just so very clever…the symbolic use of the sheer black curtain is epic. Wow. Please, just bring your kleenex. 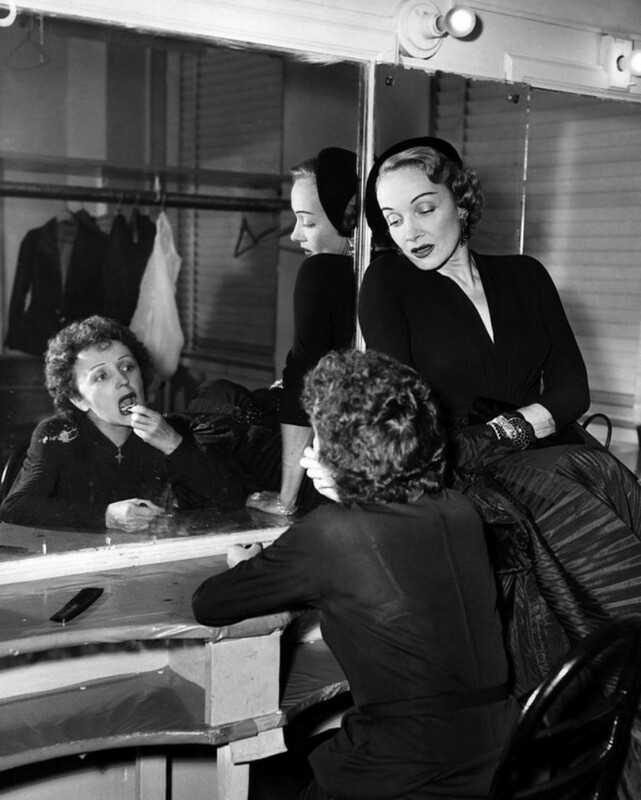 Actress Louise Pitre who plays Edith Piaf breaks your heart. Her physical resemblance to Edith Piaf is uncanny. The vulnerability and heartbreak she shares will make you cry. She is funny and full of grit, just like Piaf. Their devotion to one other, the contrast between their two characters, their tortured existences and glamorous exteriors all make this play one I will remember for a long time. It pierced my soul, and it will touch yours too. I fell in love again with these two women, these times, and these songs. I want to see it again. Since everything is in the details, I have to mention that there is a cocktail available at the bar inspired by both women. I love that small touch. P.S. 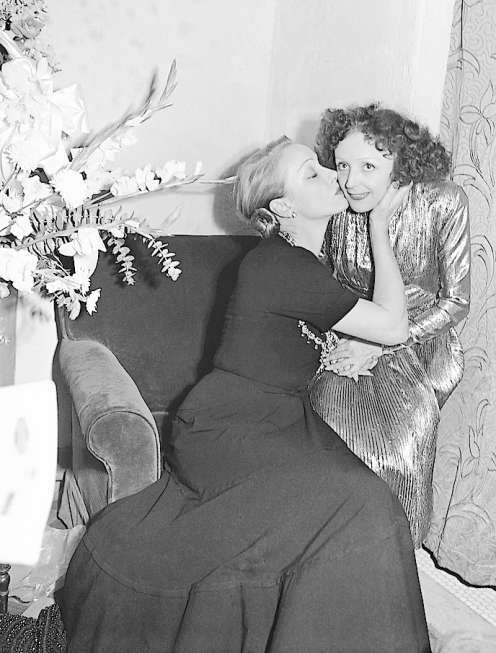 Here is some video footage of the real Marlene Dietrich and Edith Piaf. You can see why so many modern day divas have been inspired by these two vulnerable, passionate and unique women. 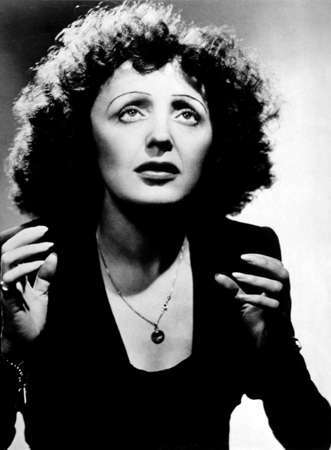 Edith Piaf sings “Non, je ne regrette rien”. 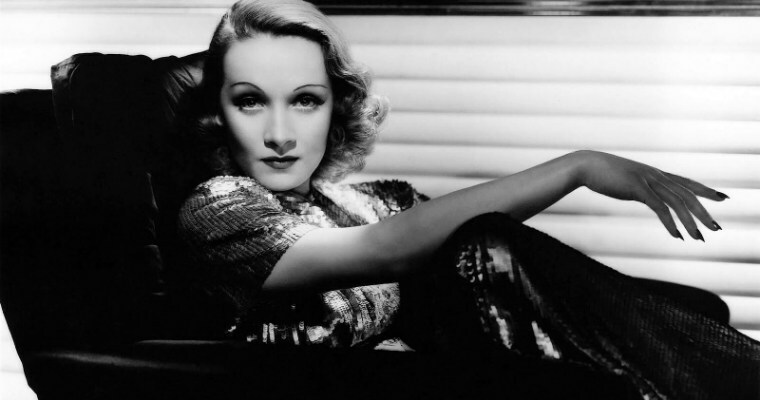 A fascinating interview with Marlene Dietrich. She is surprisingly honest and humble. Marlene sings “Falling In Love Again”. Marlene sings “La Vie En Rose” in French. A touching montage of both women. Edith Piaf sings Carnegie Hall (audio with pictures). Marlene’s screen test for “The Blue Angel”. I love her attitude. A documentary about Marlene’s Dream Las Vegas Dress. Edith Piaf interview at home.